This article will give you an understanding of how placing a seat work. DreamHack is all about being social and to create the best possible opportunity to have fun with your friends. Therefore we’re using a system based on not leaving single seats empty. 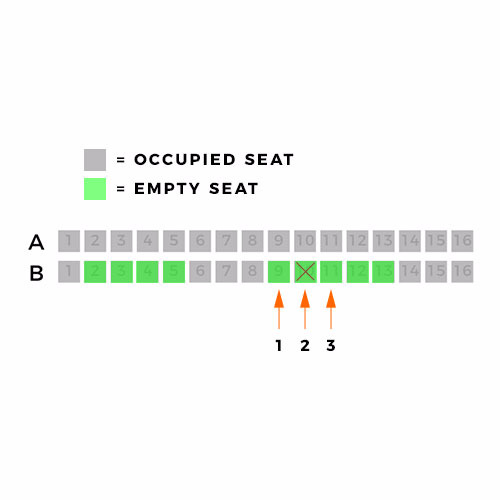 What this means is that you cannot select a seat that will leave one open seat (on both sides) next to your selected seat (2). However continuing to fill the row next to an occupied seat is allowed (1). Please note: Leaving at least 2 seats empty is still cool (3)! Picking a seat in an empty row is allowed!